Binary Options Brokers that Accept OKPay - Is it Secure? Find out Here! OKPay is a well-established and secure way to make online payments into your trading account. OKPay accepts funding in 98 different ways including bank transfer, Visa, Mastercard and through electronic payments. OKPay is available in over 200 countries worldwide and accepts 21 currencies across 52 payment systems. OKPay is currently being used by over 122,000 individuals and over 900 companies – many of which are online brokerage firms. OKPay is extremely widely used among brokers. Here’s just a couple that we recommend. There are many benefits to using OKPay, these include the fact that you can have access to an OKPay card which allows you to go to an ATM and withdraw cash from your OKPay ewallet. You can fund your card with cash at a number of retailers worldwide, which is perfect for thoe customers that do not have a bank account or a credit card. Where cash funding is used, security is high as neither OKPay nor the broker you deposit to will ever come across your personal banking details. With the digital wallet you can make payments, buy online, receive money and pay subscription fees using only your OKPay details. OKPay offer ongoing promotions to their customers including rewards, bargains and discounts from their partners. There are three main ways in which you can use OKPay. The first is as a payment card. You can transfer funds to your OKPay card directly from your bank account, credit card or other electronic payment methods. From here you can withdraw cash from an ATM machine, pay for goods and services online including funding your trading account and of course make purchases. The second method is opening a digital wallet. Using this method you will never need to show your personal details to anyone as you will need is an email address. You can receive or send online payments to other OKPay accounts, you can get a payment card a nd you can automate recurring payments to third parties, you can also use this method to transfer currencies. You can have as many wallets as you like and also have as many different currencies inside your wallet as you wish. The third method is transferring cash to other people. Wiring cash is simple using the method and fees are as low as 1% of the total amount. When you have transferred cash, the recipient just needs to go to the closest money transfer outlet and give the transfer details. He or she doesn’t need to actually have an OKPay card himself. You can receive cash in either USD or EUR in over 70 countries worldwide. To open an account with OKPay is free. Simply visit the website and choose sign up. From here you will be requested to fill out the form and select if you want a corporate account (if you are a business) or a personal account. Once you have filled out the form you will receive an email confirming your account. From here you can use the details you used to open the account to login directly and start transacting. It is very safe as there is a 2-step verification process for all transactions. Furthermore each user inputs security questions and answers. If someone clicks on “Forgot password”, they will also need to answer the security questions which protects against fraudulent activity or someone trying to hack into your account. Both Personal details and financial data are encrypted on the OKPAY servers. Display of the IP addresses that you have used to access your account allows you to see any suspicious activity or anyone logging into your account from an ip address that you don’t recognise. 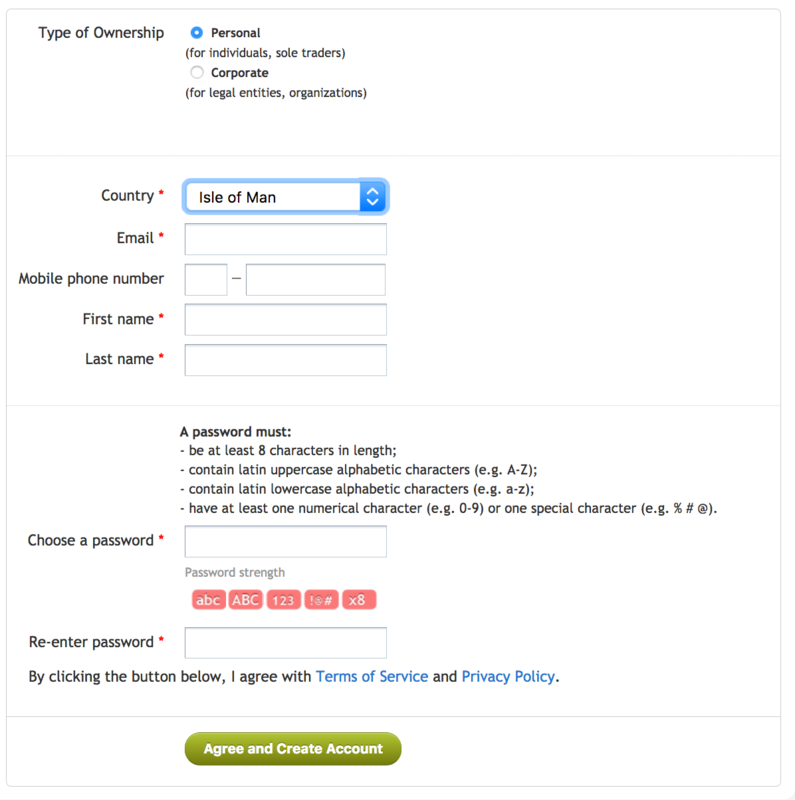 In order to register an account you will have to validate it through your email. OKPay have put into place tough password controls(upper and lowercase letters, digits and special symbols, at least 8 characters in length). You must renew your password every 6 months. There are around 98 ways in which you can deposit to your OKPay card. These include the most popular methods of Visa, Mastercard and wire transfer plus all major electronic wallets. There is however no maintenance and opening an account is also free. OKPay is trusted across the world as a payment method. It can be used as an ewallet or as a payment card where you can withdraw cash from an ATM machine. You can monitor your transactions online and even set up recurring payments. What are the brokers accepting OKPay? Some of the leading binary options brokers that accept OKPay include: Binary Mate and uTrader. Yes. OKPay have implemented some extremely tight protocol in order to protect you r details and financial data. These include anti hacking methods such as 2 –step payment, security questions and SSL protection to encrypt data on their website. Are there any limits using OKPay? No. You can use it as you require, although charges can be quite high. Check out the fee page of the website to acquaint yourself with the charges.